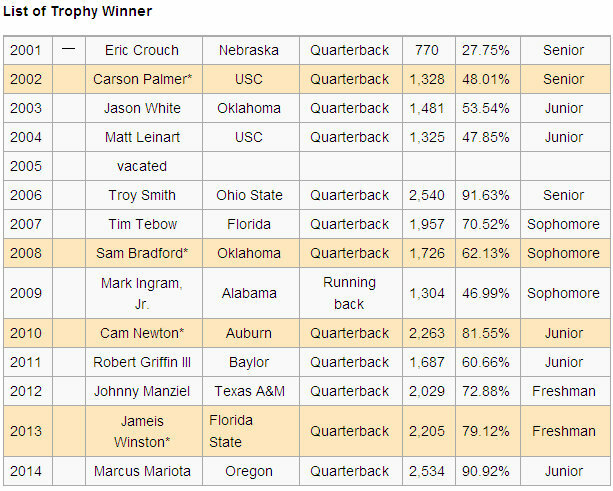 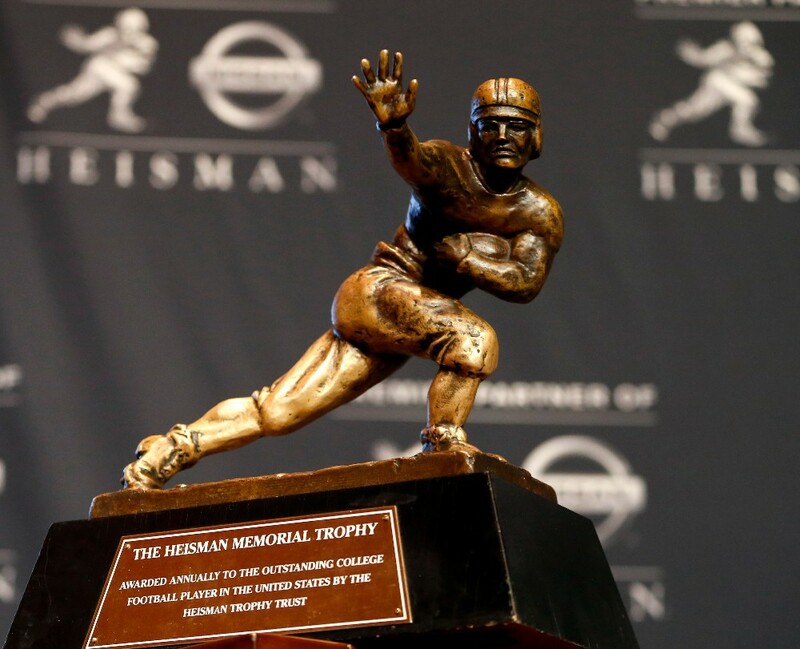 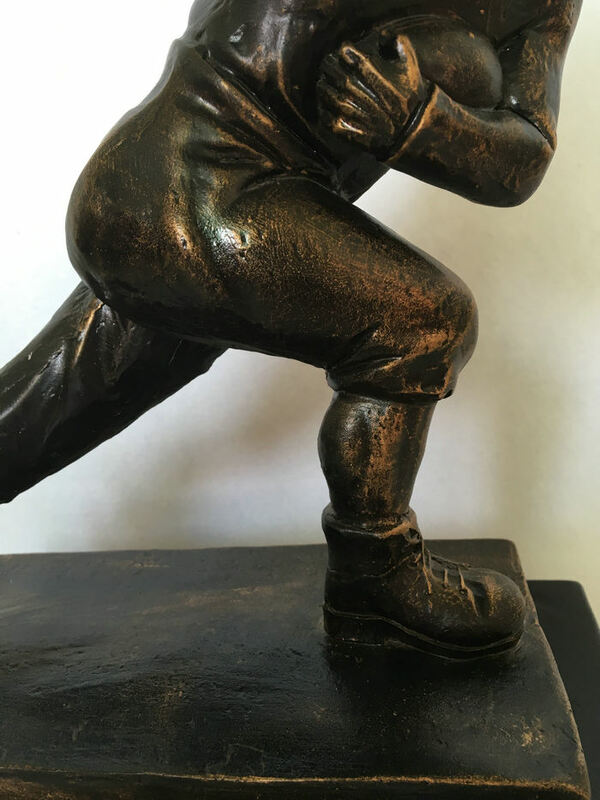 Heisman Memorial Trophy - American College Football UEFA Award Buy The Heisman Memorial Trophy - American College Football Award at Lowest Price From Factory [Heisman Memorial] - $269.00 : Trophies Art, Inc. Online Retail Store for Award Trophies, American Football, Super Bowl Trophy, UEFA Champions League Trophy, FFL or Fantasy Football League Trophy. 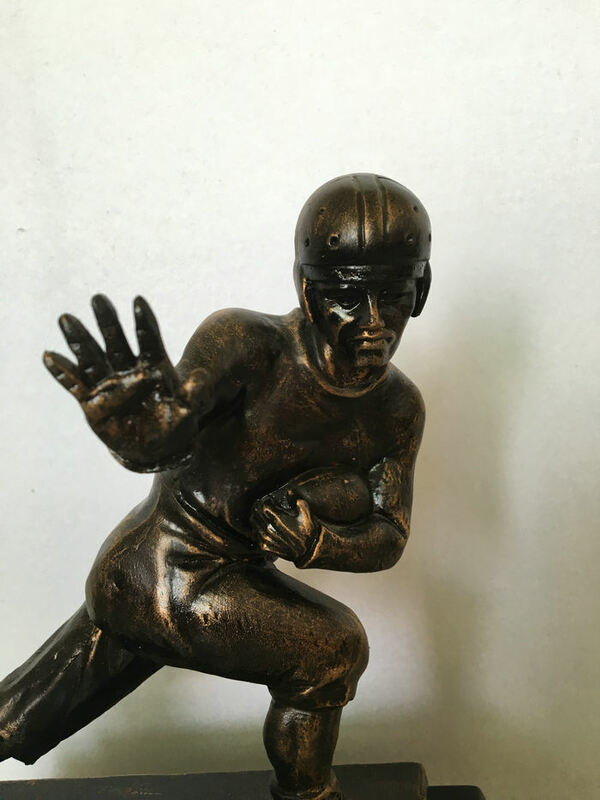 The trophy itself, designed by sculptor Frank Eliscu, is modeled after Ed Smith, a leading player in 1934 for the now-defunct New York University football team. 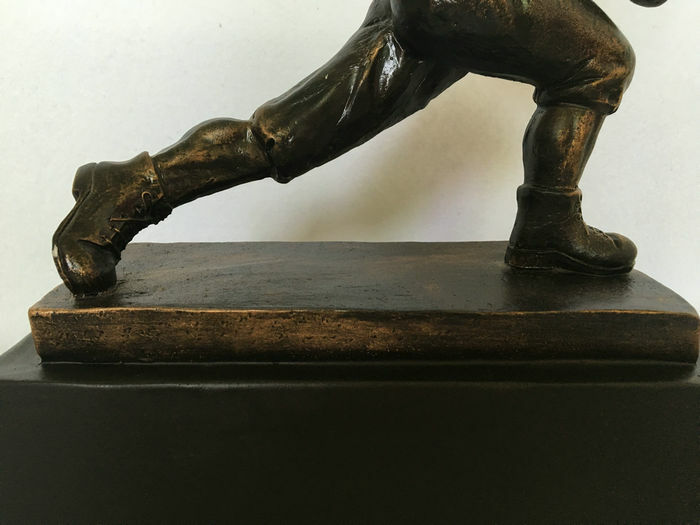 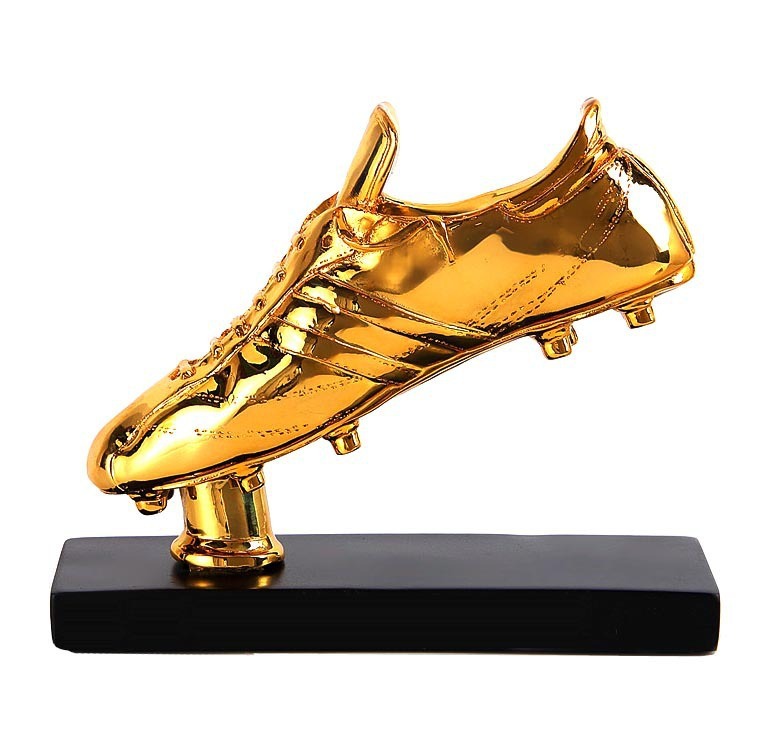 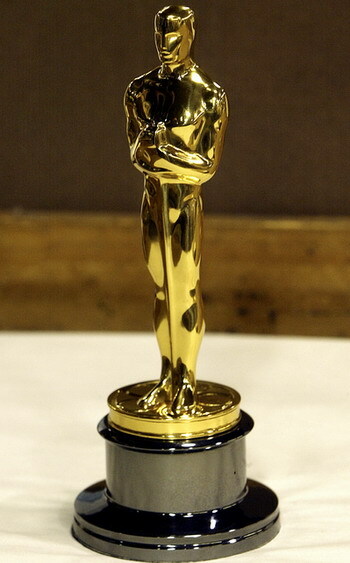 The original trophy is made out of cast bronze, is 13.5 inches (34.3 cm) tall and weighs 25 pounds (11.3 kg). 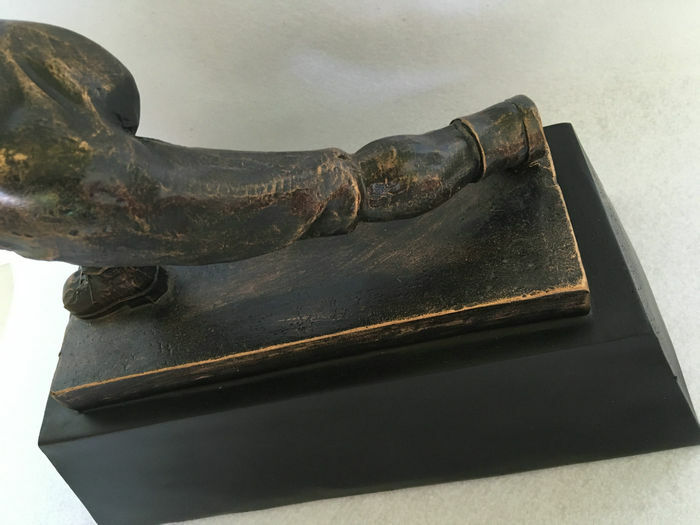 Eliscu had asked Smith, his former George Washington High School classmate, to pose for a commissioned sculpture of a football player. 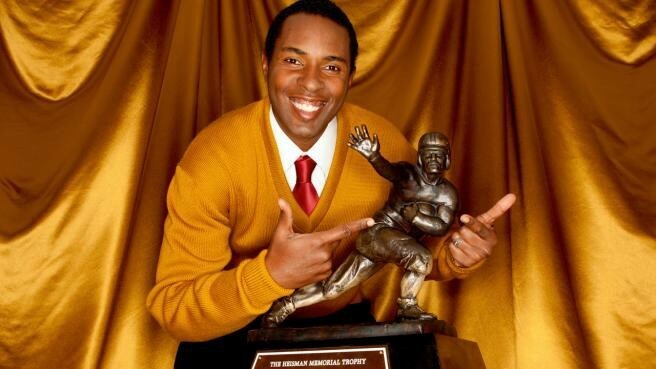 Smith did not realize until 1982 that the sculpture had become the Heisman Trophy. 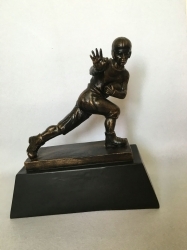 The Downtown Athletic Club presented Smith with a Heisman Trophy of his own in 1985. 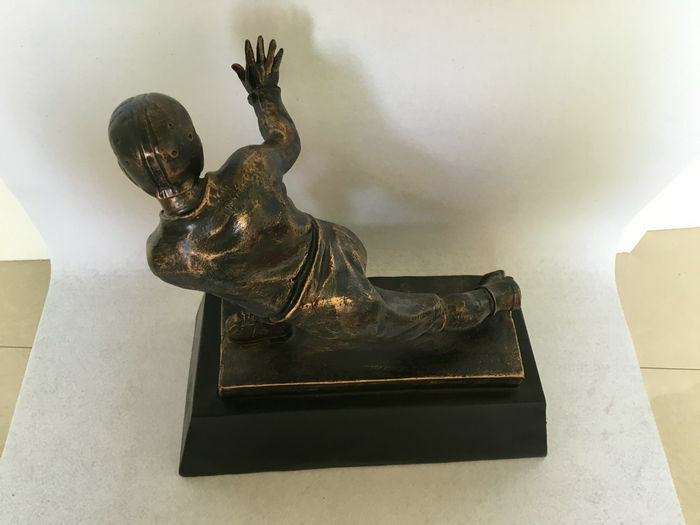 From its inception in 1935, the statue was cast by Dieges & Clust in New York (and later Providence, Rhode Island) until 1980, when Dieges and Clust was sold to Herff Jones. 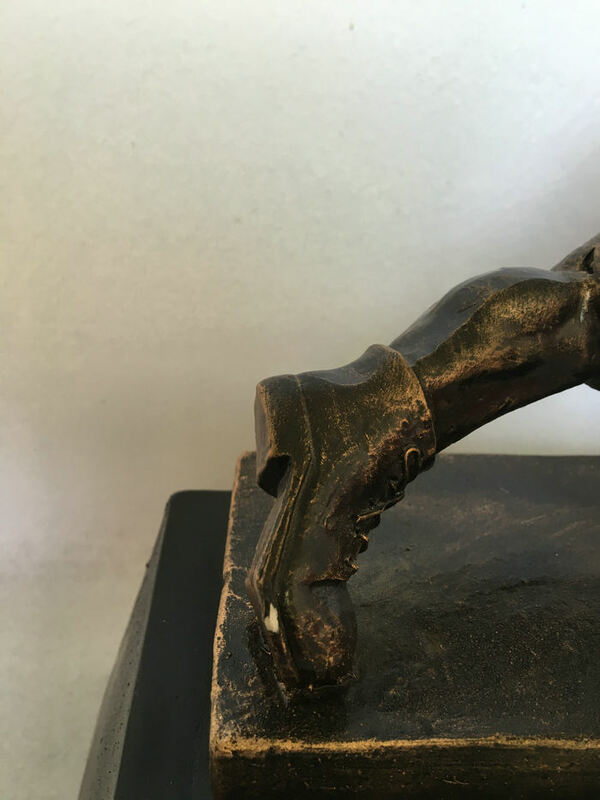 For a time until at least 2008, the statues were cast by Roman Bronze Works in New York.